Revealed last August, the new OPPO F9 is certainly one good-looking smartphone, especially in its Sunrise Red color. 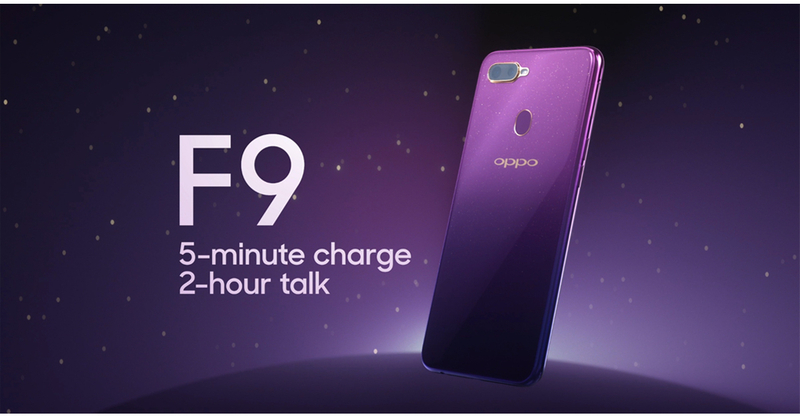 Though if you aren’t feeling the red F9, or if you just want to stand out more, OPPO’s latest F9 edition might just pique your interest! This Saturday, September 15, OPPO will launch its latest F9 in the stunning Starry Purple color! While more and more brands are releasing gradient-colored smartphones, there’s nothing quite like the Starry Purple F9 in the market right now. Not only does it have a gradient purple color, it also has some gold-like specks to mimic a bright starry sky. Though of course the F9 isn’t a smartphone you should get on looks alone, as we found that it’s a great midrange choice in our initial impressions. The OPPO F9 Starry Purple edition will be launched on September 15 at the OPPO Concept Store in Glorietta 2. If you can’t wait to til Saturday though, the F9 in Sunrise Red or Twilight Blue is available now at OPPO concept stores and other partner retailers nationwide for PHP 17,990. Previous articleMarvel’s Spider-Man becomes fastest-selling game of the year in the UK!